Roland Mouret is delighted to announce the opening of the new flagship store on 1006 Madison Avenue this Summer 2016. The bold move from its first location at 952, marks a new beginning in New York as the flagship upgrades to a townhouse, continuing the concept of the “maison” from the UK flagship at 8 Carlos Place. Taking its cue from le Corbusier interiors, 1,937 square feet of retail space is arranged over the ground and mezzanine levels. The store is revolutionised in a new brutalism combined with an aura of 1970’s Parisian chic. Walls are rendered in raw concrete, and juxtaposing the hard industrial feel, finishes are shown in bright orchid pinks and sand dune yellows. The poured and polished concrete floor is softened with curved carpet on the edges, with a brutalist sweeping steel staircase inviting you up to the mezzanine level. Partnering with Jerome Dodd, frequent collaborator of the brand, Roland Mouret has curated pieces which display his appreciation of art and sculpture. Porcelain sculpture ‘Gorilla’ by James Webster from his Trophies collection, is presented alongside ‘Unknown Pose by Roseate Spoonbill’ by the artist Darwin Sinke and Van Tongeren, which overlooks the whole store from the mezzanine level. Echoing the importance of art and fashion, two convex mirrors sit side-by-side. Measuring 1.6m they have been specially commissioned for the store, underscoring the brand’s dedication to not only fashion but to art. 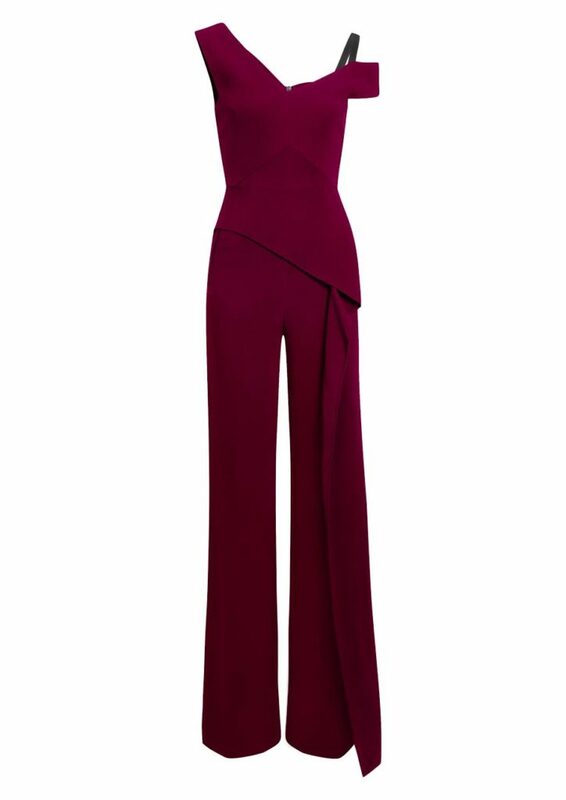 Combining the signature folds and meticulous detailing which highlight the silhouette of the female form, Roland Mouret will introduce the Tilson jumpsuit in Dark Red, which will be exclusively available at the US flagship, in celebration of its reopening. Other colours of the jumpsuit will be available at both the UK flagship at 8 Carlos Place and the digital flagship www.rolandmouret.com. “America was my first market and it is a country I will always adore. The warmth and the openness of the people makes me feel it is a home from home and I look forward to welcoming you to my new maison, I hope it feels like home for you too.